Whenever you’re out riding, you should always allow the proper amount of distance between yourself and the vehicles around you. For cars and trucks, the standard rule of thumb is to allow one car length in between your vehicle and the vehicle in front of you for every 10 miles per hour of speed you’re traveling. For motorcycles, however, this rule doesn’t apply. When on your bike, you should always allow at least two car lengths or more for every 10 miles per hour of speed in between you and the vehicle in front of you. Following too closely can result in slamming on your brakes, being thrown from your bike and suffering severe injuries. No matter what the season is, you should always wear the proper gear to prevent accidents. This means always wearing reflective, light colored clothing so that you will be highly visible at all times, and this is especially important at night. You should also have a clean face shield or goggles so that you can spot potential problems before they arrive. Another common cause of motorcycle accidents comes from not riding on the side of the lane. Due to road debris, oil and other vehicle fluids that can build up on roadways, riding in the center lane can be incredibly dangerous. Always make sure that you ride on the sides of a lane in order to avoid these hazards, but keep in mind that the sides of lanes can contain hazards as well. As with any motor vehicle, speed can be dangerous. Excessive speeds on a motorcycle can cause stability issues, control issues and more. Always obey the posted speed limit, even if no one else is on the road with you. If you find yourself riding in bad weather, try to reduce your speed to about 10 miles per hour under the speed limit. Even if you practice safe riding on the road, it doesn’t mean that everyone else will. Always practice defensive motorcycling in order to reduce your risk for an accident. If a driver is tailgating you, let them pass. If a driver is swerving in and out of lanes, don’t ride beside them. Essentially, you will want to remove yourself from the proximity of aggressive drivers when possible, as aggressive drivers may be less likely to notice you on the road. 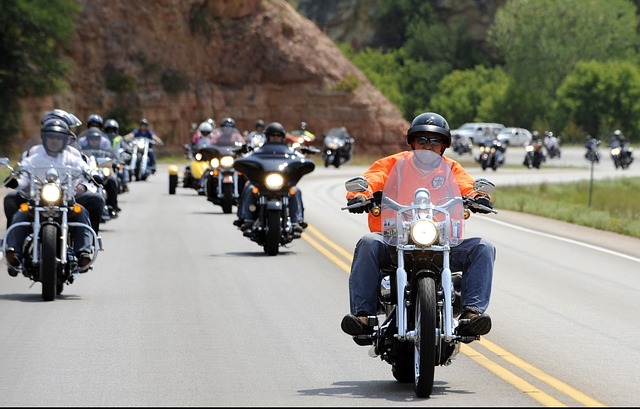 No matter where you ride this summer, keep in mind that your safety and the safety of those around you is critical. By taking steps to ride safe now, you can enjoy your bike and the open road for many years to come. Christopher Steven is passionate about encouraging safety and and healthy practices in his community. Christopher works with the Gorospe & Smith Personal Injury Law Firm in Tulsa, OK encouraging safety and helping families through difficult situations.